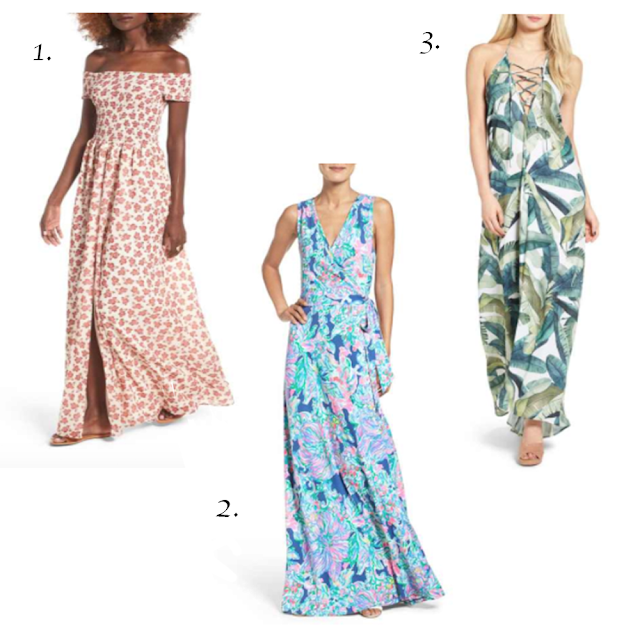 This Friday Faves is dedicated to spring break! Mine is this week and I'm so excited to be going to Miami on Monday. I'd wear this outfit to the airport or when walking around the city. 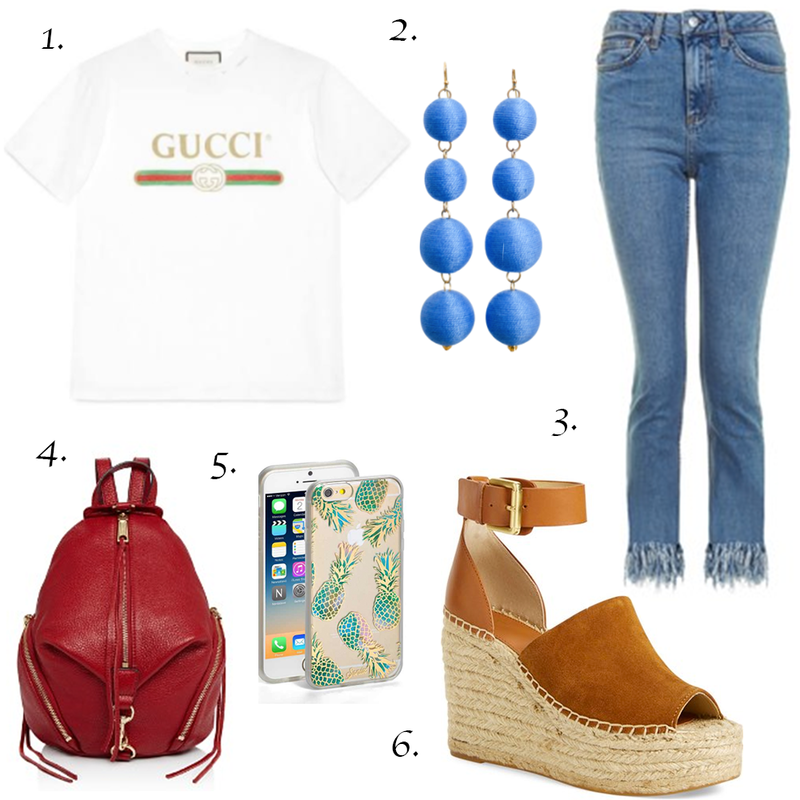 It's casual and cool with a graphic tee and backpack, but still polished with espadrille wedges and statement earrings. I like to keep things simple when going to the pool or beach. It's still possible to be fashionable though, with trendy sandals (I'm loving all the pom-poms this season!) and an off-shoulder cover-up. I am OBSESSED with this dress. It's so fun to twirl around in and has a beautiful exposed back. I bought it in a dark raspberry color last summer and will definitely wear it out in Miami. Since the dress makes such a statement on its own, I'll opt for delicate accessories. This navy clutch from Francesca's is definitely on my wishlist too.